Enjoy the experience of living aboard a dive boat as you journey through the spectacular dive sites that Fiji has to offer. After a day of diving in some of the best soft coral sites in the world, you can have a romantic dinner under the stars enjoying the company of your hosts. 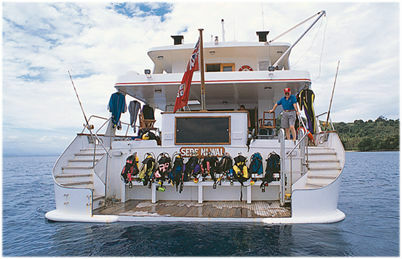 Fiji has several live aboard vessels available that all offer a unique and memorable holiday experience.